This is a magnificent piece for any elegant style wedding dress. 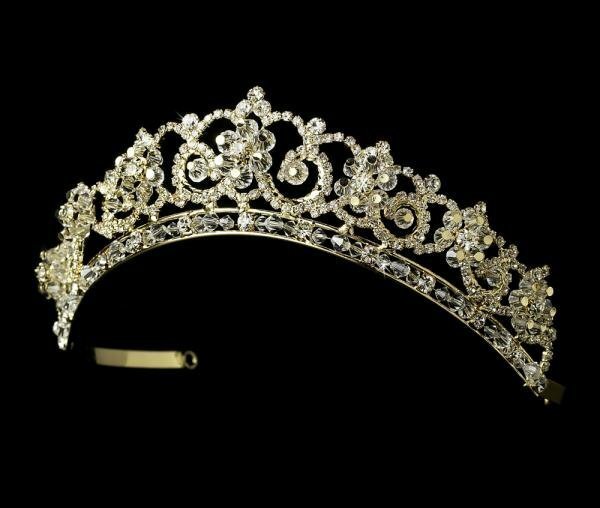 This tiara is gold plated and has a floral pattern of Swarovski crystals and clear rhinestones. The piece ends with two loops that allow you to fasten it in your hair with bobby pins.